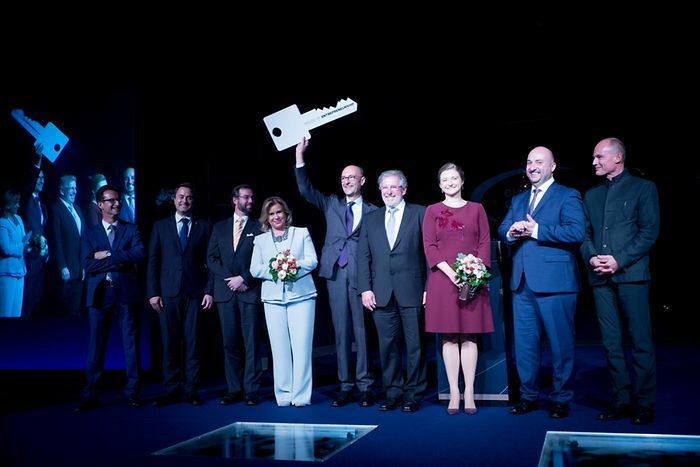 The Grand Duchy's Chamber of Commerce turns 175 years this year and so Grand Duchess Maria Teresa, Hereditary Grand Duke Guillaume and Hereditary Grand Duchess Stéphanie were on hand to celebrate with them tonight. Among the some 800 people to celebrate with them were Prime Minister Xaviel Bettel, his Deputy Etienne Schneider, President of Parliament Mars di Bartolomeo as well as Bertrand Piccard, Swiss balloonist and one of the minds behind Solar Impulse. Earlier today the initiative "mateneen" was launched by the Oeuvre nationale de la Grande-Duchesse Charlotte pledging 12,6 million euros to around 80 NGOs, charity and private persons committed to social solidarity and the integration of refugees. 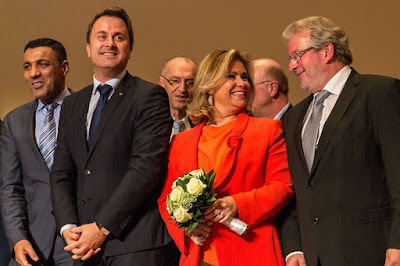 Grand Duchess Maria Teresa was among the guests of the event at the Philharmonie, as were Prime Minister Xavier Bettel and President of Parliament Mars di Bartolomeo. More pictures at Wort and RTL, who also have a video. Yesterday evening, Hereditary Grand Duchess Stéphanie attended a public lecture by Asker Pelgrom at the National Museum of History and Art (MNHA) entitled "The picturesque between politics and private life". 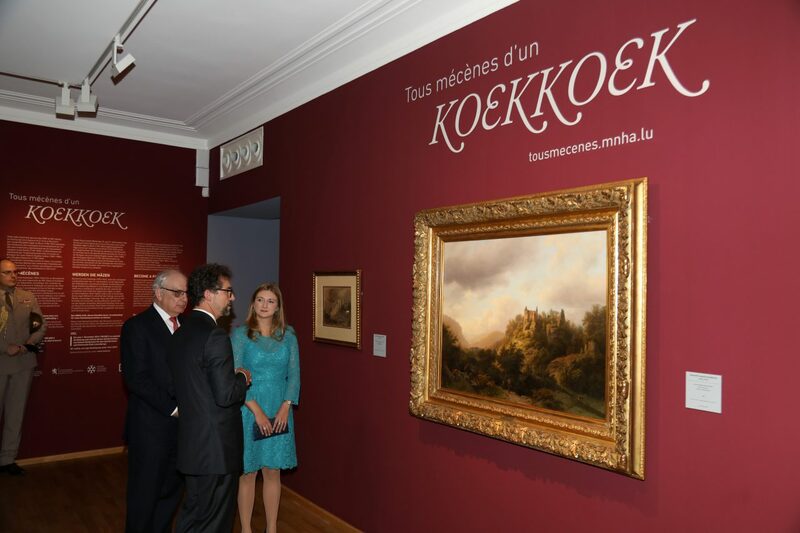 In his lecture the art historian made the case for the acquisition of Barend Cornelis Koekkoek's "View of Larochette Castle", one of nine paintings of the Luxembourgish countryside commissioned from the artist by King-Grand Duke Willem II in the 19th century. 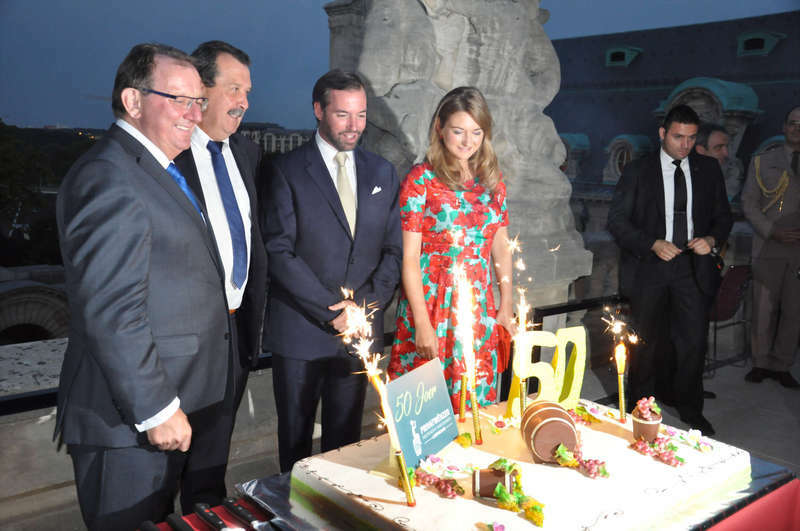 As patron of Les Amis des musées d’art et d’histoire Luxembourg, the Hereditary Grand Duchess is supporting the efforts. Thus far, the campaign has already raised 75,000 euros via a crowdfunding project with the goal of raising an additional 25,000. While at the museum, Stéphanie also took the chance to visit the Koekkoek exhibition. More information and pictures at Le Quotidien and L'essentiel. On the 28th, Hereditary Grand Duke Guillaume attended a conference at The Bridge Forum Dialogue, which supports interdisciplinary debates in Luxembourg. 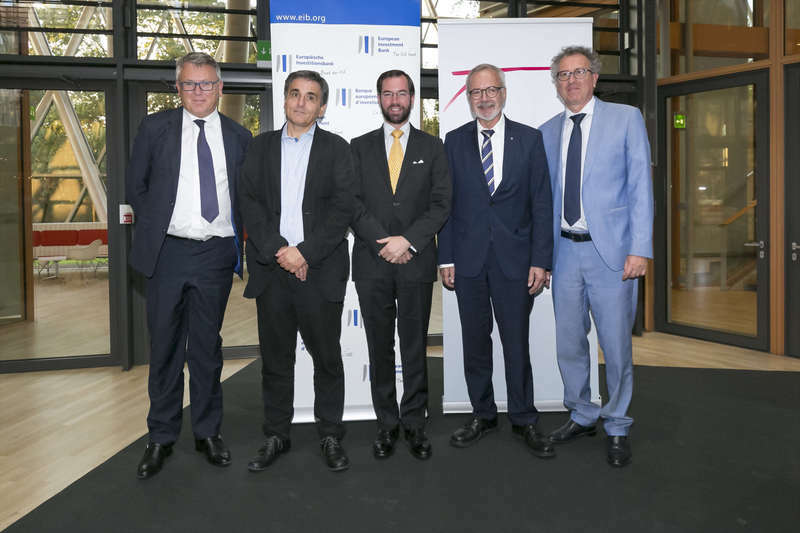 The organization is focused on connecting Luxembourg institutions with their European counterparts that are located in the Grand Duchy. The topic of this particular event was "Recovering from the crisis: Macroeconomic versus Real economy and social dimensions." Prince Guillaume and Princess Sibilla were also in attendance at the conference. No photos just yet, but they'll be added if they're made available. 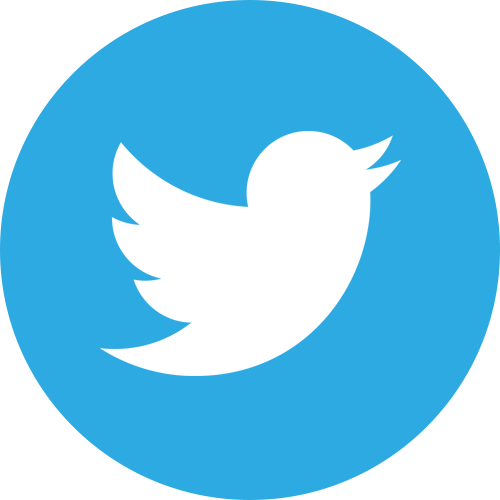 For other speeches and events from The Bridge Forum Dialogue, see here, and for more about the institutions they work with see here. Additionally, for more information about this particular event and the main speaker, see Banque Centrale du Luxembourg. Finally, a little info from the Cour website. To mark their tenth wedding anniversary, Prince Louis and Princess Tessy have given their first joined interview to the Luxembourgish media, namely RTL. The full video can be watched here. Here's a rough translation of what the duo said. Princess Tessy: Time flies. It was a beautiful time, we learned a lot and made lots of memories. Prince Louis: The children are growing older and older. With them you see how time passes. Princess Tessy: When I entered [the church], it was very emotional. To see my husband. Prince Louis: I was nervous, we were young. They are good memories, I'm very happy with the decision I made. 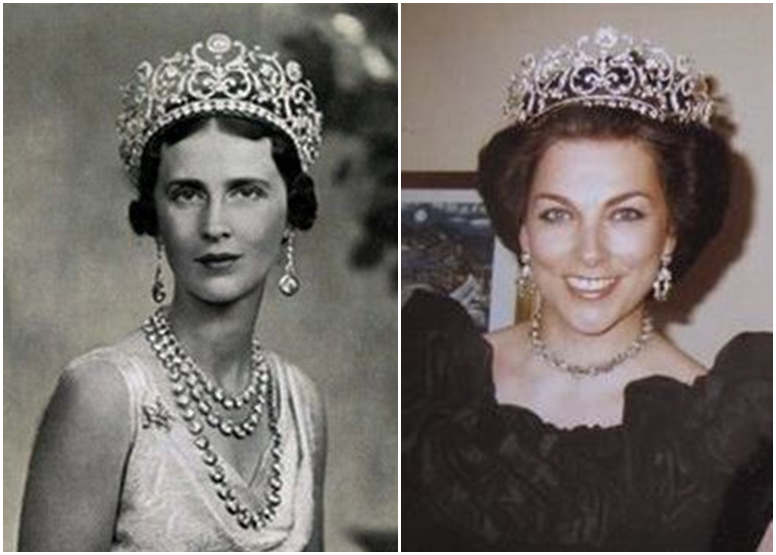 Princess Tessy: It was very emotional, it's really hard to put it into words. It was wonderful. You didn't really know all the things that are coming your way as a young couple. We watched the video the other day and it was a bit funny to see yourself. I had already forgotten a lot of things, little details. It was a beautiful day. 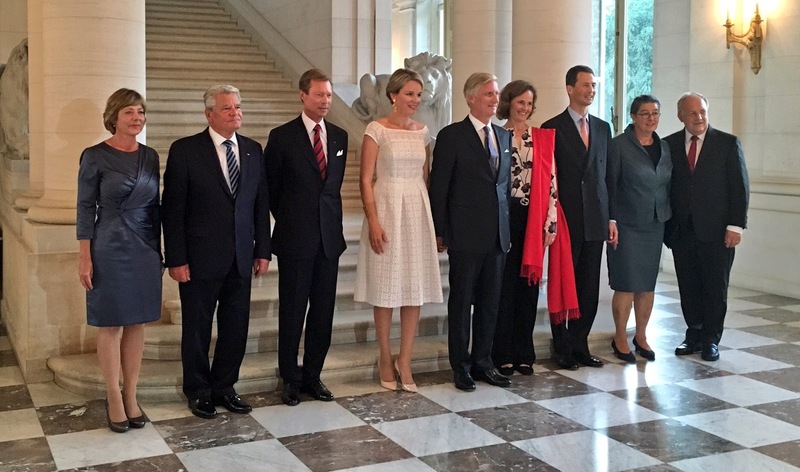 Princess Tessy: It was a big honour for me as a Luxembourger to receive the title of a Princess of Luxembourg. There were big emotions as I'm very proud of my country. Prince Louis: We lived in Florida for two years and it was a good experience. However, it is very nice to be back in Europe near the family. We've been living in London for almost five years now. Princess Tessy: My husband is working on his master's in an area that interests him very much, psycho-social studies. I founded my own NGO working in the field of education, which is important to me. Prince Louis: There's lots to tell you! They are very active, they never stop. Princess Tessy: Gabriel is very sensitive. He cares a lot for others, more than about himself. Noah is very active. Also sensitive but he's also very straight forward, a strong character. Prince Louis: We come back mumble, mumble [every two months, I think]. 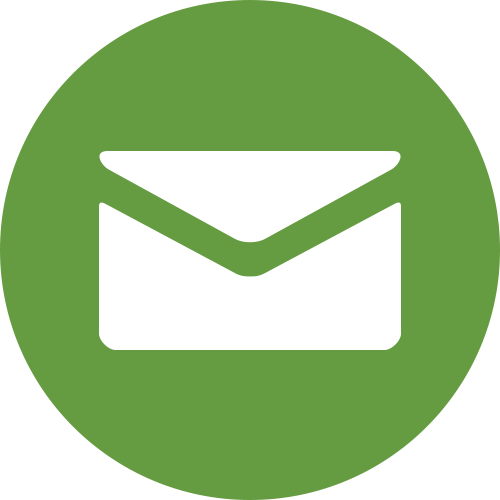 To see family but also for official events, when there are things we can help out with. Princess Tessy: It's always beautiful to come home, to see everyone. I really like walking through the city [of Luxembourg] or Niederkorn. I like to sit with my father on the terrace, drink a good coffee, to speak to everyone. Luxembourg is very important to the two of us, we like to come home as often as possible. Grand Duke Henri will attend the funeral of former Israeli president Shimon Peres in Jerusalem on Friday, September 30, the cour announced today. The Nobel Peace Prize laureate died on Wednesday in Tel Aviv after suffering a massive stroke about two weeks ago. The Grand Duke also sent a letter to the current president of Israel, Reuven Rivlin, expressing his condolences. How time flies... For Prince Louis and Princess Tessy this week must be a very special one as they are celebrating their 10th wedding anniversary on Thursday having gotten married on September 29, 2006. The couple reportedly met for the first time when Prince Louis visited the Luxembourgish KFOR soldiers in Kosovo, where Tessy took part in the mission between March and August 2004. 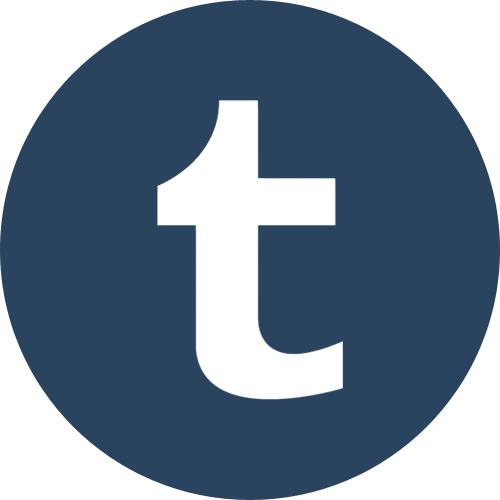 Tessy had been a member of the Luxembourgish army since June 2003. After the two had been a couple for about a year, the cour announced that Prince Louis and his girlfriend were expecting a child on September 21, 2005. Their son Gabriel was born on March 12, 2006, in Geneva where Louis and Tessy were living at the time. Just a few days after the birth of young Gabriel, the couple announced their engagement on March 16. About a month before their wedding, on August 22, Prince Louis renounced his succession rights (as well as the rights for his descendants). He wasn't legally required to do so but he followed a precedent set by his uncle, Prince Jean, a good 20 years earlier. As Gabriel was born before his parents got married, he was excluded from the line of succession anyway while any additional children would have been had the Grand Duke given his official consent. After his parents' marriage, he was styled as Gabriel de Nassau without any title or the style of Royal Highness. 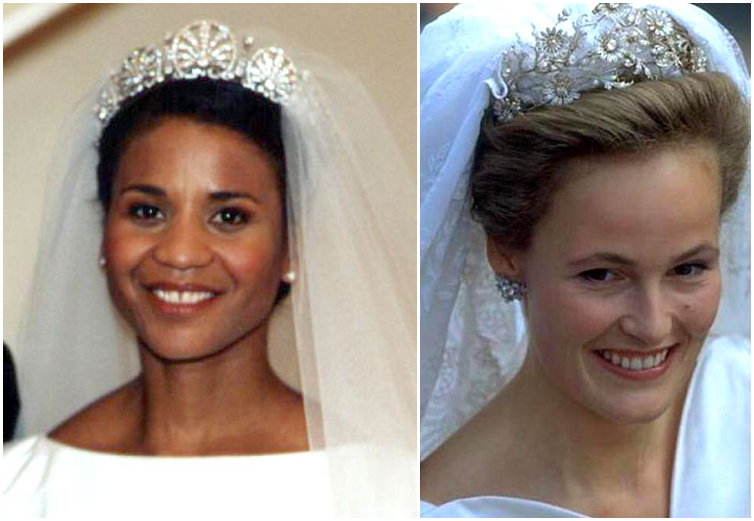 Compared to other weddings in the Grand Ducal Family, Louis' and Tessy's on September 29, 2006, was a relatively small affair, less of a royal wedding but more a family affair. The civil ceremony took place at the palais grand-ducal at 2.30 pm in the afternoon. It was carried out by mayor Paul Helminger and only close family members attended. 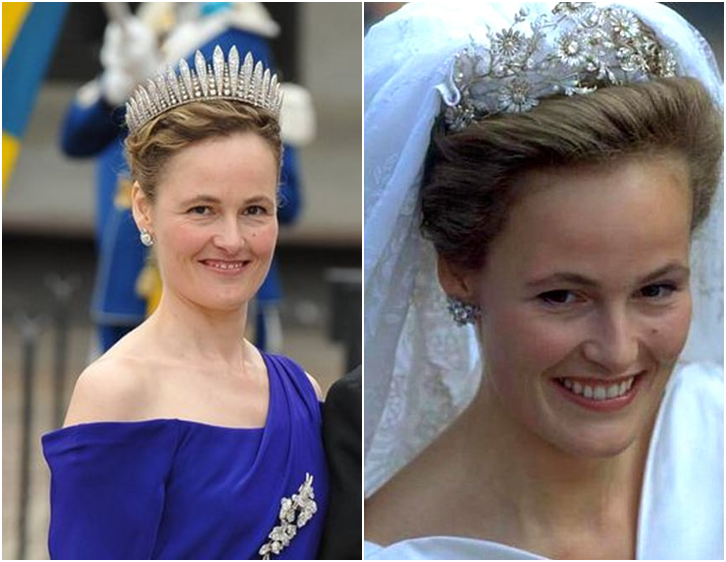 Tessy was the first Luxembourgish bride to marry into the Grand Ducal Family in the (then) 116 years reign of the Nassau-Weilburg branch (and remains the only one up until this day). While she chose her sister Patty as the witness, Prince Louis was supported by his brother Félix. The wedding was attended by all of Prince Louis' and Tessy's families supporting them on their big day. The wedding celebrations took place at the Château de Berg well into the night to which the married couple drove in an oldtimer by Citroen. The newlyweds honeymooned in the Seychelles. 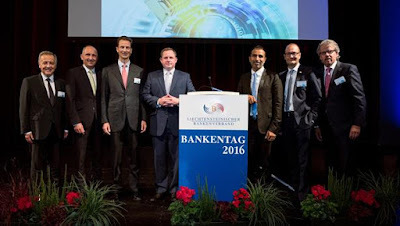 On the 21st, Hereditary Prince Alois was present at the 9th Liechtenstein Banking Congress, where Sony Kapoor and Alastair Lukies were the keynote speakers. The two themes of the event were digitalization and sustainability, and guests included several hundred individuals representing fields ranging from business to politics and more. Prime Minister Adrian Hasler delivered the welcome address. A little more information from Volksblatt. Also, further detail from Liechtenstein Bankenverband here. 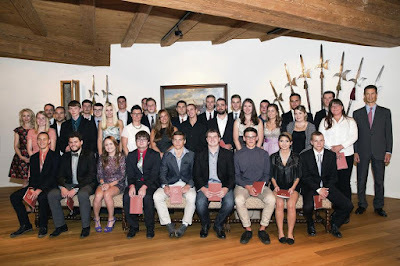 Hereditary Prince Alois has welcomed recent BMS graduates to Schloss Vaduz to congratulate them on their accomplishments and wish them future success. 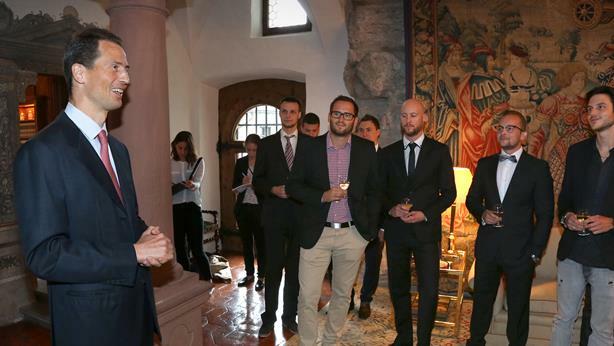 During the reception, the Hereditary Prince also spoke about the principality's history of dual vocational training system and its success in providing graduates with useful skills. On the 18th, Grand Duke Henri was at a conference in Assisi, Italy, to recognize the 30th anniversary of the World Day of Prayer for Peace. 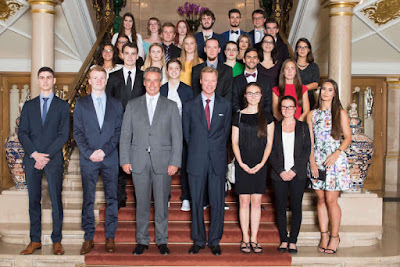 The Grand Duke also spoke at the conference, acknowledging his personal commitment to the annual event and encouraged an ongoing effort for healthy dialogue that leads to peaceful solutions. He remarked on the challenges faced by around the world by those whose lives are uprooted by war and violence. For the text of the speech, see here. No good photos yet, but they'll be added if they show up. On the 20th, Prince Hans-Adam and Hereditary Prince Alois awarded Claudia Fritsche, who was for many years Liechtenstein's Ambassador to the United States, the Commander's Cross of the (Princely) Liechtenstein Order of Merit. From 1990 until 2002, Claudia Fritsche was also Liechtenstein's Ambassador to the United Nations, a role that overlapped with her appointment as Ambassador to the United States in 2000. 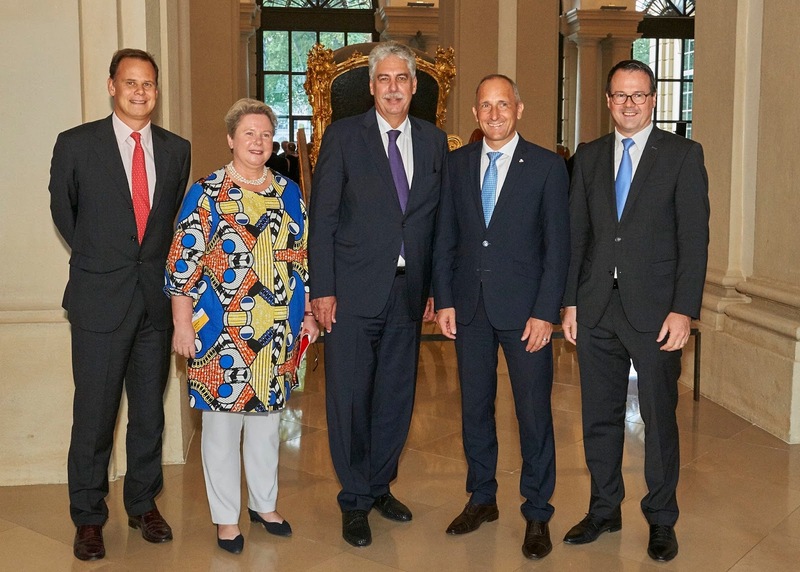 In August of 2016, Kurt Jaeger was appointed Liechtenstein's new Ambassador to the United States. 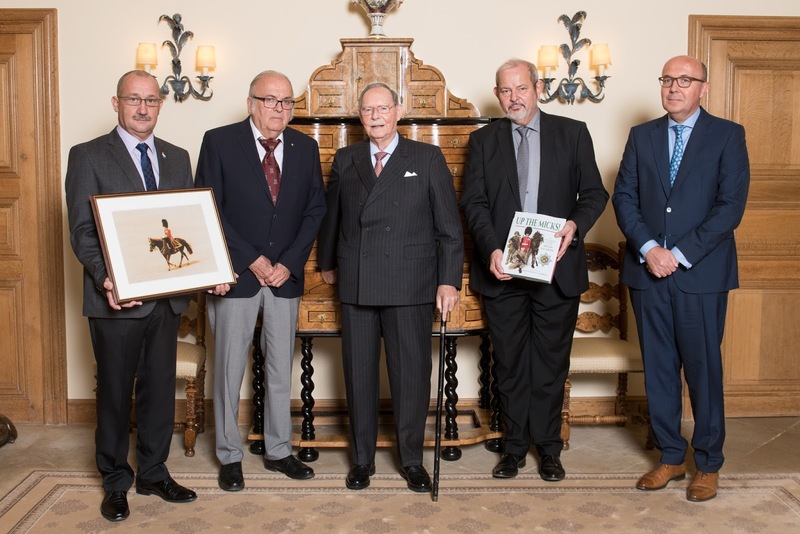 On the 20th, Grand Duke Jean received in audience a delegation from the Musée National d’Histoire Militaire in Diekirch. The museum has established an exhibit that recognizes Grand Duke Jean's time in the Irish Guards, as well as his time in the role of Commander of the Luxembourg Army. Back in 1993, Jean also contributed a piece of artillery, which he received during his time in the Irish Guards, to the museum, and it is now on display in the courtyard. You may have noticed that we've been a bit m.i.a. lately and that we used yesterday to catch up on the many, many things that happened in the past week or two in Luxarazzi Land. (See and read what I've personally be up to on Castleholic soon!) After the compulsory blogging comes the freestyle and so we'll continue our tradition of sparkly Sundays with the second semi-final of the Liechtenstein Tiara Championship. 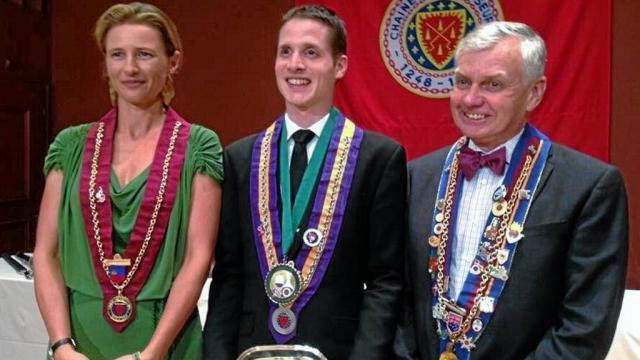 Also on the Princess Marie (wife of Prince Constantin) front, she was recently present at an international competition that awarded the best young sommelier in the world. The event, organized by Chaîne des Rôtisseurs, was held in Vaduz. Sixteen competitors were required to demonstrate their skills in uncorking a bottle of champagne and decanting a fine red wine, as well as taste testing and pairing foods with wine. Competitors representing the United States, the United Kingdom, and Australia held the top three spots at the end of the competition. Hereditary Prince Alois welcomed graduates with a GPA of 5.3 or higher to Schloss Vaduz for congratulations on their achievement. Thirty-four young people, 11 women and 23 men, will take their newly acquired vocational training into 17 different professions. They also get their names entered into the Golden Buch. Minister of Education Aurelia Frick was also there to offer her congratulations, and she spoke to the successful young professionals about their achievements, also encouraging them to continue pursuing success in their chosen fields. 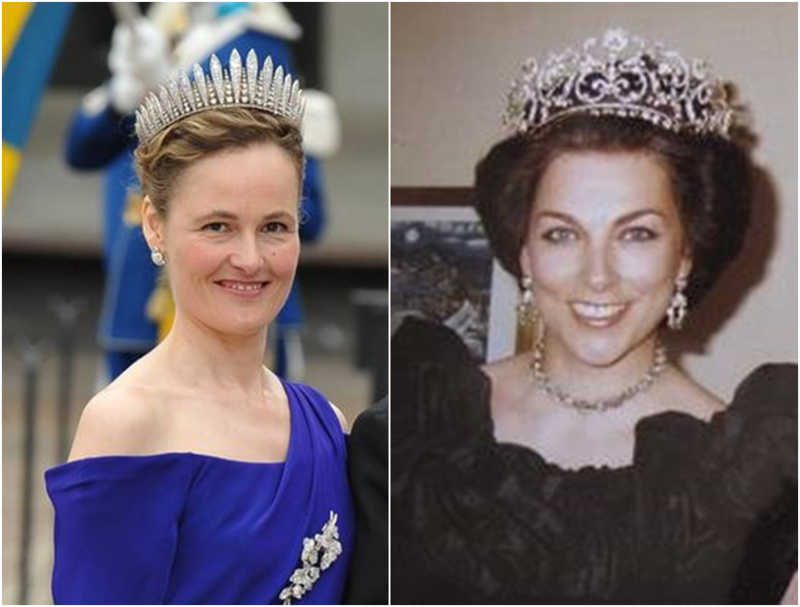 In this case, Princess Marie is the wife of Prince Constantin, and one of those responsible for marketing the wines of Liechtenstein's princely family. 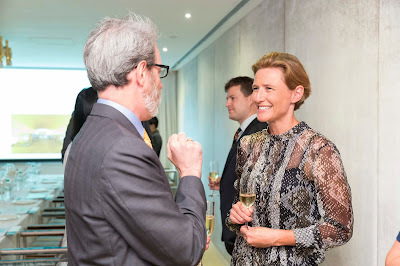 She was recently in Hong Kong to promote the royal cellar's vintages at a private wine tasting and dinner. While there she also spoke about how the wine business works alongside the banking business and how she wants to bring an element of "fun" to the princely family's business image. More from Billionaire.com and Harbour Times. Yesterday, Hereditary Princess Sophie was in the German capital of Berlin to visit the language project "Liechtenstein Languages". She was accompanied by Daniela Schadt, partner of the German President Joachim Gauck. "Liechtenstein Languages" is a new method of learning languages also using the emotional parts of the brain. It is currently used to teach Berlin-based refugees German in a cooperation between the initiative "Liechtenstein Languages", the Principality's embassy in Germany and the Order of Malta. 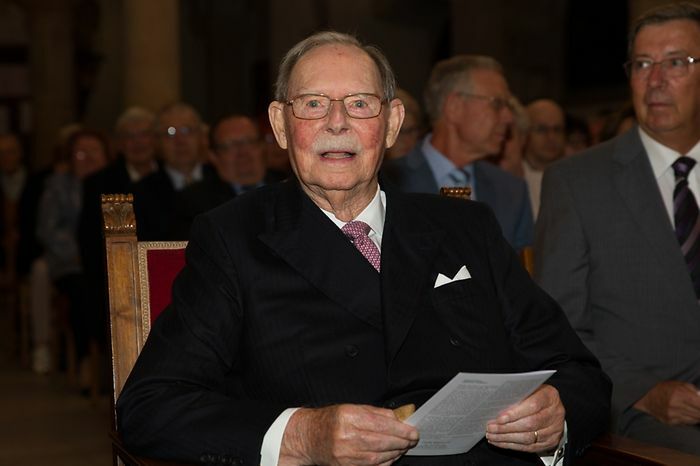 Last night, Grand Duke Jean attended a concert in honour of the 100th anniversary of the birthday of the former head of the military music, Norbert Hoffmann. 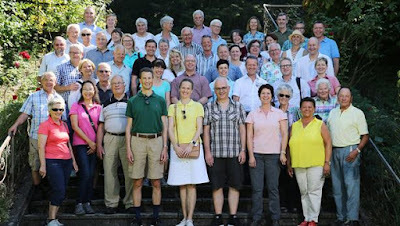 Organised by the Comité Alstad, the concert took place at the St. Michael's Church. The concert given by the Musique Militaire Grand-Ducale, under the direction of Major Jean-Claude Braun, with the choir of the St. Michael's Church, under the direction of Gerry Welter and organist Alain Wirth was used as a fundraiser for the Crèche Altmünster. Wort has more pictures of the concert. 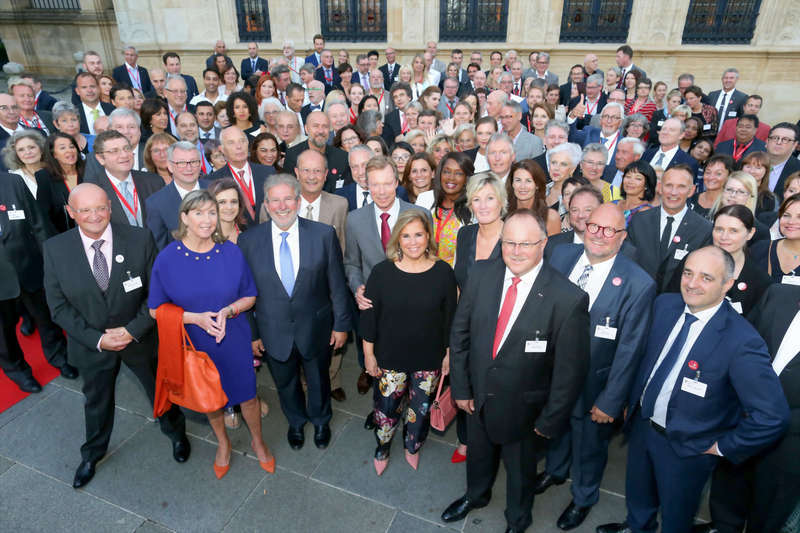 Grand Duchess Maria Teresa has opened the doors for Belgian TV show C'est du Belge and given an inside look at the preparations for an official dinner at the Grand Ducal Family's residence, Château de Berg. The Grand Duchess can be seen coordinating the menu and the flower arrangements for the night. The report was filmed in April in advance to a dinner hosted by Grand Duke Henri, Grand Duchess Maria Teresa, Hereditary Grand Duke Guillaume and Hereditary Grand Duchess Stéphanie for the members of the Chamber of Deputies. The full report can be watched here. Look who danced the night away at Queen Charlotte's Ball in London the other weekend: It was Archduke Alexander, fourth child and youngest son of Princess Marie-Astrid of Luxembourg and Archduke Carl Christian of Austria. The debutante ball, which is considered one of the highlights of the London social season, took place on September 10 at The Royal Horseguards Hotel. Archduke Alexander was the partner of debutante Sabrina Ho - and is now featured all over Chinese media. For more pictures, have a look at Daily Mail. The President of the Parliament of the Portuguese Republic, Eduardo Ferro Rodrigues, recently made a visit to Luxembourg to honour 125 years of diplomatic relations between Portugal and the Grand Duchy. 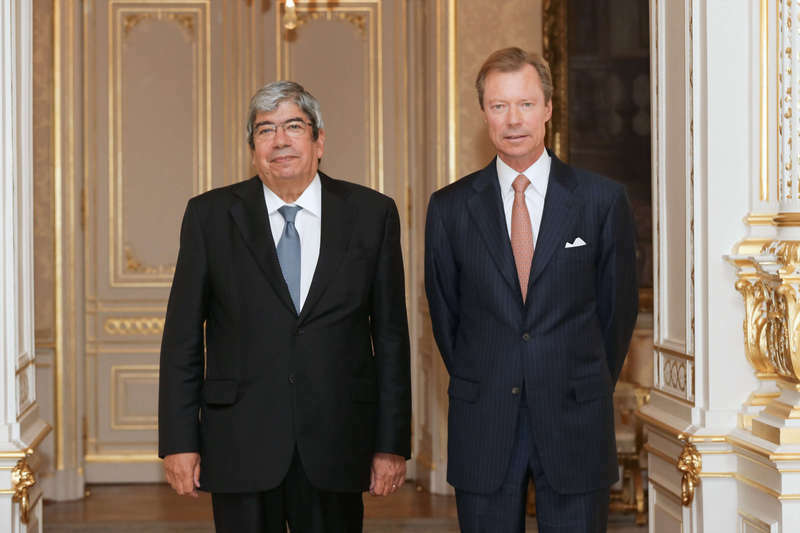 During his official visit from September 12 to 14, he, amongst others, met with Grand Duke Henri for an audience at the palais grand-ducal. Diplomatic ties between Luxembourg and Portugal are strong not least because Portuguese people are the largest immigrant group in the Grand Duchy making up about 16 percent of the population. The Princely Family of Liechtenstein - or rather the Prince of Liechtenstein Foundation - has filed an appeal with the highest administrative court in the Czech Republic concerning the inheritance of 600-hectare plots of land near Říčany located about 20 kilometres from the centre of Prague. About four years ago the Princely Family learned that Prince Franz Josef II was still registered as the owner of almost 100 plots of land near Říčany, and so they applied for inheritance. A district court approved their claim and the plots were subsequently transferred to the Prince of Liechtenstein Foundation in the land register. When the Czech state became aware of the transferal of land, they filed a lawsuit against the Foundation as they believed it to be unlawful based on the Beneš Decrees, which dispossessed Germans - everyone who spoke German was considered German - and Hungarians off their properties following the Second World War except for those who themselves suffered under the Nazis. Both the first and second instance decided in favour of the Czech state. Prince Constantin, in his capacity as head of the Prince of Liechtenstein Foundation, now clearified, "This is not a restitution procedure as we haven't made restitution claims. These proceedings are about us being the owners of land according to the land register and a confiscatory complaint claiming these plots by the Czech state." The youngest son of Prince Hans-Adam II and Princess Marie eleborated that the Foundation has also brought evidence before the court that Prince Franz Josef II has never declared himself a German though they do not intend to file lawsuits about the land the family was dispossessed of during the 20th century. The Office for Government Representation in Property Affairs of the Czech Republic argues that the Foundation could not inherit the property that the state confiscated before and that the fact that Prince Franz Josef II was still the registered owner of the land until 2013 was merely an oversight by the officials. They did not elaborate why it was possible for the Foundation to apply and be granted inheritance of the land in 2013. 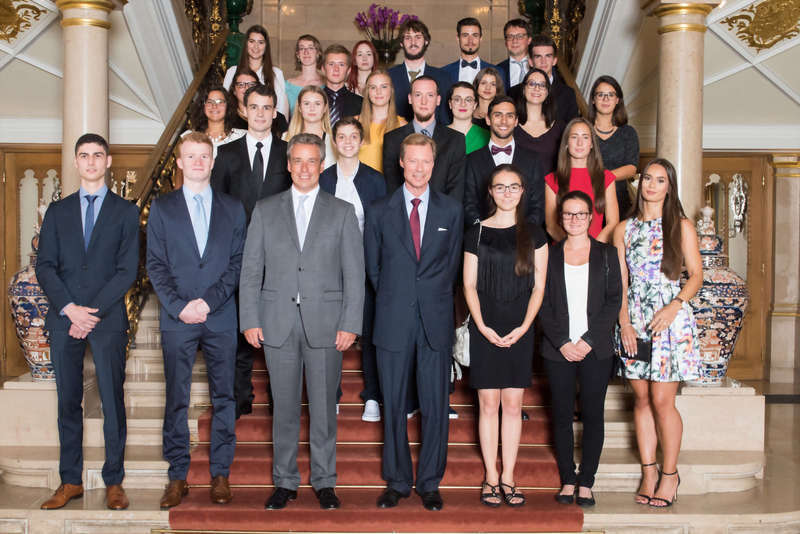 On September 6th, Grand Duke Henri received a number of students who scored high on final exams for secondary education programs (both classical and technical). Minister of Education Claude Meisch was also in attendance to congratulate the students for their excellent work. Today marked the official start of the meeting for German-speaking heads of state (after yesterday's pre-meeting reception) in Eupen. For Luxarazzi readers, Grand Duke Henri is there, as are Hereditary Prince Alois and Hereditary Princess Sophie. The program today includes two working sessions that are focused on the topics of encouraging entrepreneurship among the youth and fighting terrorism. The 2017 meeting is expected to be held in Luxembourg. More photos at Tageblatt. Also, a video at RTL, with a brief interview with Grand Duke Henri. If you are the head of state of a German-speaking country, chances are extremely high you find yourself in the Belgian city of Eupen right now. Tomorrow sees the annual gathering of the heads of states of the German-speaking countries, meaning all countries where German is (one of) the official language(s) - and not that you can speak it - apologies Willem-Alexander - or that you have a German-speaking minority in your country - sorry, Margrethe, you are out, too. The six countries that remain are Germany, Austria, Switzerland, Belgium as well as Luxembourg and Liechtenstein (with Austria not attending as they don't currently have a president). A new petition has called for a referendum on Luxembourg's monarchy. The petition is supported by the political party Déi Lénk, which notes that the State of Luxembourg currently supports the Grand Ducal family at the expense of 10 million euros each year and asks for a nationwide vote on the type of government that will represent the people of Luxembourg. 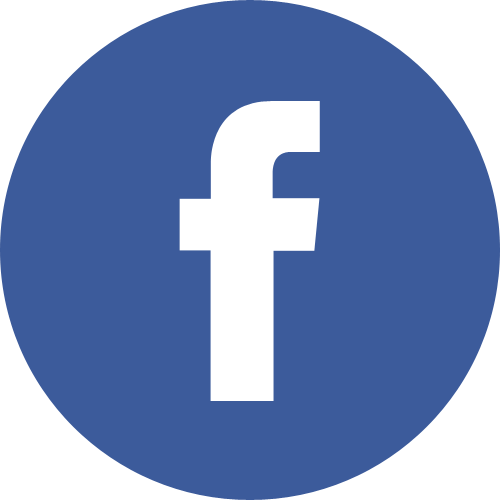 The petition is not yet available to the public but will be soon; petitions that receive 4500 signatures will receive a hearing in the Chambre des Députés. You have spoken, the group stage of the Liechtenstein Tiara Championship is over - see here what happened so far - and so we are heading straight into the semi-finals. The first of which sees the Habsburg Fringe Tiara face off against Princess Olga of Greece's Boucheron Diamond Tiara. A tough choice for many, I'm sure - are you Team Fringe or Team Floral? 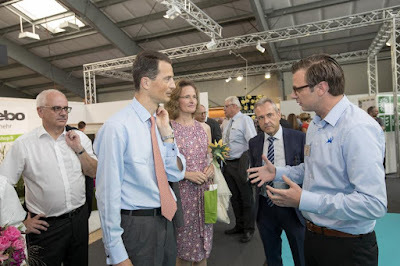 Hereditary Prince Alois and Hereditary Princess Sopie toured the Liechtensteinische Industrie-, Handels- und Gewerbeausstellung, or simply LIHGA, earlier today. The exhibition fair for industry, trade and commerce is held in the Principality every two years and the Princely Family usually makes it a priority to attend. Taking place since 38 years, this was the 21st edition of the fair showcasing the Principality's finest products as well as products from abroad. 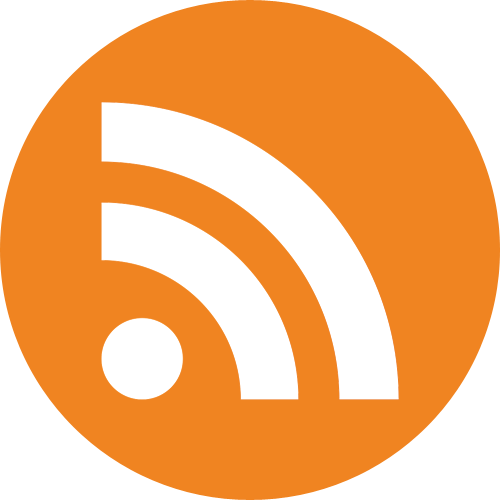 More information about this year's edition at Vaterland. Summer is coming to an end - and with it does our summer series. The group stages of the Liechtenstein Tiara Championship came to and end with only two semi-finals and the grand finale to come. Today, let's have a look at the results of the first five rounds of voting; tomorrow we'll have a closer look at one of the tiaras that advanced to the semi-finals; and on Monday the voting begins again! 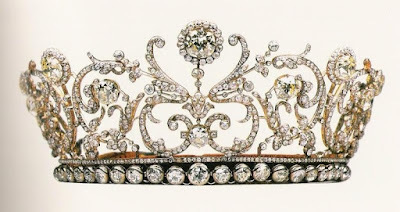 Group B also saw the win of a favourite (and one of the best known tiaras of the Princely Family): The Kinsky Palmette Tiara, which - similarly to its counterpart in Group A, the Habsburg Fringe Tiara - took home five wins. With four wins, Princess Olga of Greece's Boucheron Diamond Tiara (phew, what a name! Come back tomorrow to learn more about it) came in second place. 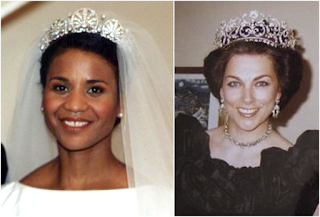 Not advancing to the next round are the Bavarian Pearl and Diamond Floral Tiara (3 wins), the Bulgarian Fringe Tiara (2 wins), the Ruby and Diamond Tiara (1 win) and Princess Margaretha's Sapphire Necklace Tiara.